South West London has wonderful places to cycle. The banks of London’s river Thames offer long stretches of traffic-free cycling. Most of London’s Thames-side cycle route is on the Thames Path National Trail. This path is one of the 19 designated national trails in the UK. It runs from the source of the Thames in the Cotswolds to the Thames Barrier at Greenwich. Cycling restrictions: However, do be aware that some sections of the Thames Path have public footpath status. This excludes cyclists from riding there unless they have permission from the landowner. Cycling on a public footpath without permission is trespass. •The Thames Cultural Cycling Tour is a 27km route that takes in a lot of London’s maritime history. •There are a number of other options for waterside cycling in London. There are miles of canal north of the Thames. Cycling is allowed along these stretches, but some sections require a permit. •There are also long routes along two tributaries of the Thames. In the north east is the Lee Valley offering 26 miles (42km) of traffic-free cycling. •In the south west is the once heavily industrialised river Wandle. The largely traffic-free route running alongside the river links Wandsworth, Merton, Croydon and Sutton. •Always make sure that the bicycle is in good condition with working brakes and good tyres. 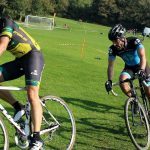 A Cycling Club based in South West London created by friends to ride with friends. 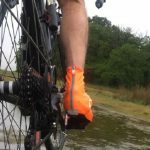 We’re a little bit different to most clubs in that we’re primarily a group of friends who socialise off the bike, but we happen to share a common interest in cycling and cyclesport. We are based in Putney with weekend and evening rides into Surrey, Kent and beyond. 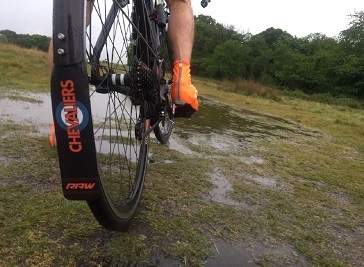 Chevaliers Cycling Club is based in south west London. Regular rides take place each week ranging from social gatherings to serious training. Some of us race, some of us ride sportives and some of us just like a gentle twiddle followed by a natter over coffee and cake. 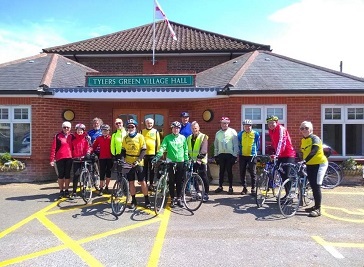 We're a friendly group of about 150 cyclists based to the south-west of London. We organise several rides each week, at weekends and midweek, and new members are always welcome.